DAVID LE/Staff photo. 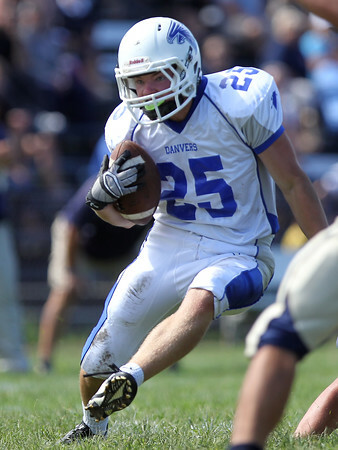 Danvers senior running back Anders Salmonsen (25) cuts upfield against Winthrop (25). 9/12/15.